In what is becoming an annual celebration, Claymore are bringing together some of their musical mates for a special evening of entertainment this December in A Celtic Christmas. The saying goes that the Celts know how to celebrate, well anything, and it doesn’t get a much bigger family event than Christmas. 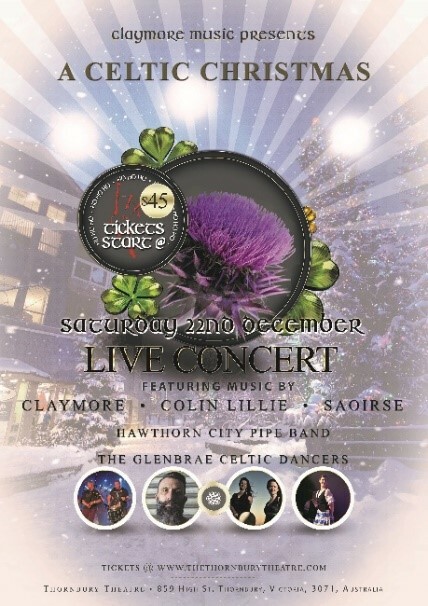 Last year Claymore kicked off their inaugural A Celtic Christmas show, anticipating a small get-together. It ended up being a packed house of hundreds. A Celtic Christmas in 2018 looks set to follow suits with fantastic special guests Colin Lillie, Saoirse, the Hawthorn City Pipe Band and the Glenbrae Celtic Dancers. Saoirse, the Gaelic word for freedom, are known for their vibrant Irish vocals and dance. 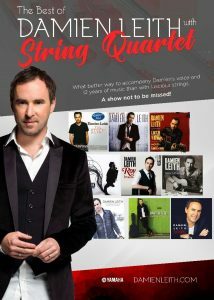 They delight their audience with beautiful renditions of Irish ballads and original works and their spirited jigs and reels are guaranteed to get the feet tapping. They’ve performed at a swag of the country’s premier festivals including Port Fairy Folk Festival, Brunswick Music Festival and the National Folk Festival to name a few. Tickets for A Celtic Christmas are on sale now.